Hands-up who drives a Skoda? 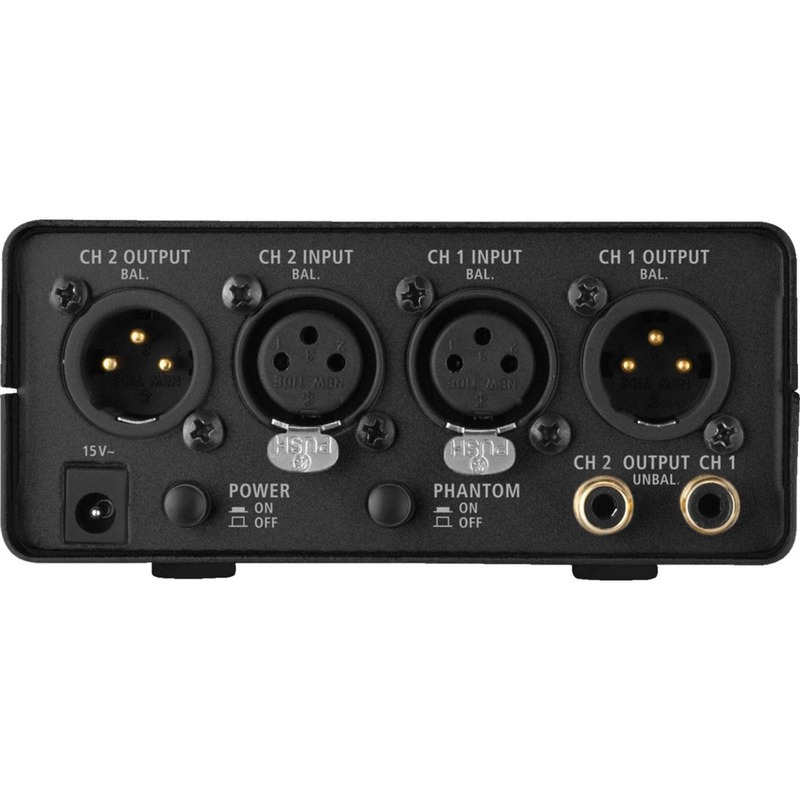 Anyone using a Behringer X32? Two companies that have undergone a metamorphosis during my adult lifetime. Back in the day both companies were a joke - still are in some circles - but are now known for at least some good, solid, reliable products. I must admit that until recently I'd had a view that IMG Stageline/Monacor were very much at the MI end of the spectrum with cheap 'n' cheerful products that do a job, but don't stand up to much technical scrutiny. But over the last year or so, first tentatively and then with more confidence, I've bought a few of their products and been quite impressed. Solidly-built, functional and somewhat utilitarian, but they do the job without fuss, flashing lights, multiple LEDS and all the rest of the razzmatazz that now seems obligatory. Plus points: Up to 70dB of gain - surprising in itself at this price-point; click-points on the gain controls with a fine-tuning gain control of +/- 5db in series; variable high-pass filter; polarity invert; XLR ins and outs plus RCA-phonos for connecting to prosumer gear. Not so plus points: Wallwart (of course) - but the preamp is very compact; Phantom is only 12v - but then these days there are plenty of mics that'll run quite happily on 12v without any compromises. Of course the proof of the pudding... Gives me good clean gain with (to my ears) no added character. Not hissy and simple does the job. For what I want - a decent straightforward 'wire with gain' when I'm on location - this is more than adequate and I'm pondering getting another. 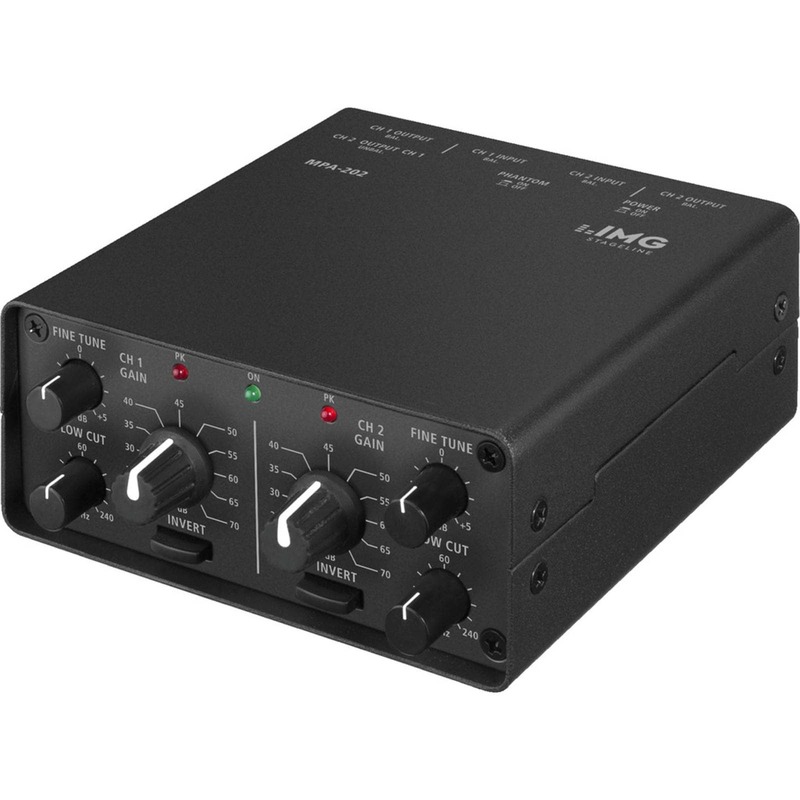 I wouldn't use it as a main studio mic preamp, but for those occasions when you simply want something that'll connect to a line input to allow you to use more mics and that doesn't seriously compromise the sound it's ideal. Nice review of an interesting-sounding product. I wouldn't mind running that across the AP test set to see if it really is all it claims! Hugh Robjohns wrote: Nice review of an interesting-sounding product. I wouldn't mind running that across the AP test set to see if it really is all it claims! Love to see those results as well Hugh! Yes, Behringer are producing some decent stuff these days but I wish they would stop their rip off game. I have just seen the Anderton's video of the re vamped HT-1 and HT-5 and I wonder how long it will be before the "boogers" catch up with the cosmetics? In my opinion the 12 volts phantom power is inexcusable. How many millions of AIs have been produced by now, most with adequate to perfectly on spec' 48V? The DC-DC converters must cost peanuts. Mike has very kindly offered to send me his unit to test next week. Watch this space. Having a few extra mic preamps is frequently a useful thing. It's actually one of the things about my tascam US16x08 that I really value but doesn't seem to get mentioned much; in that if it's not connected to a computer it functions as a standalone bank of 8 mic-preamps. And graphs from Hugh too!! What's there not to like? It’s a solid bit of kit, and generally well built with seemingly good quality components. I was unable to gain complete access, but it appears to use a transistor front end with op-amps providing most of the heavy lifting. There are no transformers at either end of the signal path. Bizarrely, the circuit board is effectively mounted upside down, which means the release catches on the XLR sockets are below the plugs, and I found them a little frustrating to use as a result. Power is provided from a wall-wart transformer with an integral euro-plug, and in the case of the review model a clam-shell style adaptor had been fitted to convert to a UK mains plug. A rear panel button switches the unit on, with a front-panel green tally light. The output from the wall-wart is 15V AC, with no mains earth connection (so the unit relies on being grounded for RF screening purposes via whatever its outputs might be connected to). Both the gain trim and HPF knobs have centre-detents which seems rather unnecessary. HPFs clearly don’t require a centre detent at all, and the one for the gain trim actually makes it really difficult to accurately match the channels around the mid-point. This is a relatively minor issue, though and easily worked around. With the minimum 20dB gain setting, the review sample provided +20.875dB of gain in the left channel and +20.795dB in the right, which gives a channel matching within 0.1dB. This was maintained pretty well over the entire gain range. Maximum gain (with the trims fully clockwise) is 75.5dB, and the minimum gain is 15.9dB. The actual Trim range is not the ±5dB as marked on the panel, but +6dB/-4dBdB. The maximum output before clipping was +24dBu at the balanced outputs, making the maximum input level +4dBu… which is on the low side and there is no input pad facility. The unbalanced outputs operate 6dB lower than the main outputs, so 0dBu at the balanced outputs provides -8dBV at unbalanced outputs. Output clipping is also fractionally lower at +15dBV. The front panel peak light illuminates at +12dB, a very healthy 12dB before actual clipping. The signal-to-noise ratio with 70dB of gain dialled in is 54.9dB, giving an EIN figure of around -125dB. Not the quietest preamp on the planet, but not desperately bad either. THD+N at 70dB gain, with a +20dBu output = 0.017% which is very respectable. Crosstalk is below -70dB at 20kHz, and below -80dB for most of the bandwidth, while the residual noise level at 20dB gain was -84dBu. Some mains-related hum (at 50 and 150Hz) from the power unit was apparent in a noise-floor FFT, and was slightly worse on channel 2 (nearest the power inlet and rectification/regulation elements), but was below-100dBu, so is of no practical concern. The variable high-pass filter provided -3dB points at 15, 60 and 240Hz for the counter-clockwise, mid and clockwise control positions. The preamp bandwidth remained very consistent at all gain settings, and is well-defined with -1dB points at 20Hz and 50kHz, although there is a gentle roll-off from 10kHz, reaching -0.15dB at 20kHz. Nothing to worry about! The correct polarity is maintained for all outputs with the invert button out, and the overall phase shift reaches -20 degrees at 20kHz, with increasing amounts of positive phase shift at lower frequencies, depending on the filter setting. With the lowest filter the phase shift is +80 degrees at 20Hz, rising to +170 degrees at 20Hz for the 240Hz setting. The THD ratios also vary with the filter settings, but are always below 0.2% (with 20dB gain) and are lowest with the lowest option (0.01%). At 70dB gain the THD values range between 0.4 and 0.03%. The input impedance measured 3.9K Ohms, and the phantom power unloaded voltage was 11.8V, falling to 5.5V when fully loaded (on one channel only) which is within the P12 spec. Overall, this is a very impressive and compact two-channel mic preamp that turns in a very credible technical performance. The only negative factors are the 12V phantom power and the restricted input headroom which may be of concern to users of some capacitor mics. But for anyone using low-output dynamic mics and ribbons, this should prove a very capable and useful mic preamp. Thanks for the heads up on this - might be useful for my ribbons and M201s! Thanks for running the metrics. I've always felt for what I wanted it was perfectly adequate; your tests seem to bear that out. I've only ever used it with dynamic mics thus far - M201s mainly - and it's delivered the goods. As I've said above it's not used in 'studio' conditions, but for multimic, multitrack location recordings and/or livesound. I may now try it with some lowish output capacitor mics, but with an external phantom PSU delivering 48-volts.